If you love reading contemporary lesbian fiction and lesbian romance novels, look no further than author Nicolette Dane. Spicy and sweet, tender and fun, while remaining sensual and real, Nico's romance novels are perfect for contemporary new adult readers. If you enjoy relatable characters and uplifting stories of lesbian romance, check out Nicolette Dane's full catalog right now by clicking here. You'll be happy you did! Looking for exclusive and free content from Nicolette Dane that's not available anywhere else? Then you should sign up for Nico's mailing list. 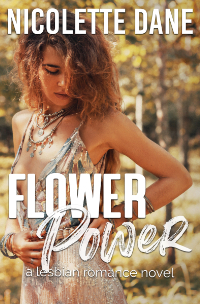 All subscribers receive free stories just for signing up, get infrequent and non-spammy updates about Nico's latest releases by email, and get to read the absolute best in contemporary lesbian romance. What are you waiting for? Sign up now! Subscribe to Nico's mailing list and get 3 free stories emailed to you right now! Taryn Donaghy's job as an equities trader at a financial services firm is leading her down a dark road. The long hours and the high pressure are taking a toll on her mental health. Taryn knows she needs a change, but she doesn't know what that change looks like or how to find it. A chance meeting with Alex Maris, a florist who delivers a flower feature to the office every week, opens Taryn's eyes and shows her a different path. Alex lives and works on a co-op farm with others like her, a sort of hippie collective of people doing their own thing. It's hard for Taryn not to be intrigued by Alex. She's beautiful and kind, and she's living the blissful and fulfilled life that Taryn is after. If Taryn doesn't figure her path out soon she might just break down. Will Alex and her farm show Taryn how to find herself and find the love that's eluded her for so long? Captain Elaine Cole is an accomplished and popular commercial airline pilot. She's spent her entire career bouncing from one airport to the next, and one lover to the next as well. 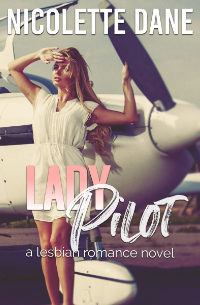 Being a pilot has made it hard for Lanie to settle down and find love, and now that she's in her forties it's really starting to wear on her. When Carrie Haden is assigned as a flight attendant on her route, Lanie feels herself falling for the beautiful younger woman. But Carrie is different than the flight attendants Lanie has been with in the past. There's something else there--a brighter spark, a deeper affection--and Lanie can't help but feel that this is her opportunity to finally find the love she seeks. When Jessica Coleridge arrives in Los Angeles to open her new yoga studio, the only person she knows in town is her old friend Liberty Logan. To Jessica's surprise, Liberty has become a famous actress on a hit television show. As the friends rekindle what they once had, romance begins to blossom and this reunion quickly evolves into something much more than friendship. But fame and money begin to play tricks on Liberty, as she's still naive to her growing celebrity. 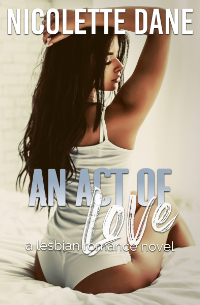 And with Jessica reentering her life out of the blue, Liberty has a difficult time determining what's real and what's just an act. When money and business mix with love and romance, even old friends can find trust to be a difficult proposition. With love on the line, both women need to figure out who they are and what they want. Can this second chance at love for Jessica and Liberty win out over the trappings of Hollywood, fame, and money? Evelyn Driscoll, famed novelist and professor at a small midwestern arts college, is in a rut. It's been over seven years since her hit book came out, her editor is clamoring for a new manuscript, and life in northern Ohio just doesn't compare to the literary world she once inhabited. Her love life feels like even more of a mess. When one of Evie's graduate students--the beautiful and talented Meadow Sims--admits that she's got a thing for her professor, Evie feels her lost passion start to come back. Meadow is smart, sweet, and has almost finished a novel of her own. The two must write their story carefully, however, as dating a student could put Evie's teaching career at risk. With Meadow by her side, Evie's inspiration is blooming once again. But can this May-December romance succeed despite the professional consequences? After getting into some trouble in the big city, Jane Cairns is sent to live with her aunt and uncle on the family farm in southwest Michigan. Jane's living in a state of arrested development, ambling through young adulthood and finding it difficult to flourish on her own. She just can't get her act together. When she meets Sally Harris, a local farmer who works on her family's cherry orchard, Jane sees in her new friend a responsible young woman who has it figured out. But Sally, too, has her struggles. Where she's from, it's hard for her to be herself and be open about her desires. As they each battle their own issues of identity and place, love begins to flourish for Jane and Sally. But can their budding affection survive a dirty past, a secret relationship, family conflict, and more? 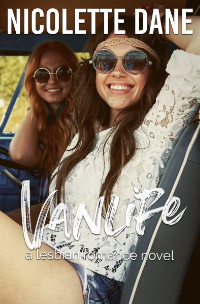 Vanlife is absolutely free -- read it right now!